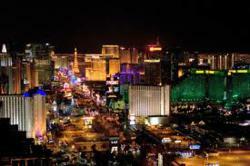 Today in America TV is excited to announce March air dates for the city that doesn’t sleep, Las Vegas, Nevada. This brightly lit city bills itself as “the entertainment capital of the world” due to the many shows it has to offer residents and visitors alike. Today in America TV is a sparkling example of information television. Today in America TV is excited to be airing in Las Vegas, Nevada. This vibrant city is well known for tourism, gaming and conventions, which in turn feed the retail and restaurant industries. These are the main economical drivers of the city in the desert. Its brightly colored neon lights sparkle at night drawing people to its center for shows, shopping and perhaps a few turns at the slot machines or gaming tables. It also has a growing family and retirement population with it 300 days of sunshine a year. Due to its arid environment, many people resort to gardens that flourish in this kind of atmosphere. Residents and visitors can watch the award winning cable television show on 8 New Now via the Cox cable system. Today in America TV is dedicated to bringing educational and informational stories to the audience about what's happening in a variety of fields around the country. Our host, Terry Bradshaw spent fourteen years playing professional football. He led his team to win at the Super Bowl four times and was twice named as Super Bowl "MVP", Bradshaw holds Super Bowl all-time passing records to this day. After he retired, he worked as an actor, recorded some country/western songs and authored two books. His outgoing personality often keeps him busy as a highly requested motivational speaker. He can be seen on Fox NFL Sunday. 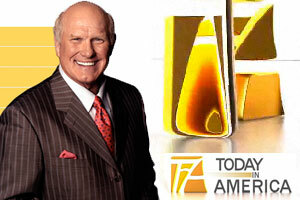 Today in America with Terry Bradshaw is committed to informing the audience about topics that have something to do with everyday life. The program covers topics that will challenge and entertain its viewers. It can be seen on local, regional and national cable channels such as CNN Headline News, Fox Business Morning, and ESPN 2 and ION. For a Today in America sample, please visit todayinamericatv.com or check the show’s Facebook page for location shots and a chance to win $10,000.